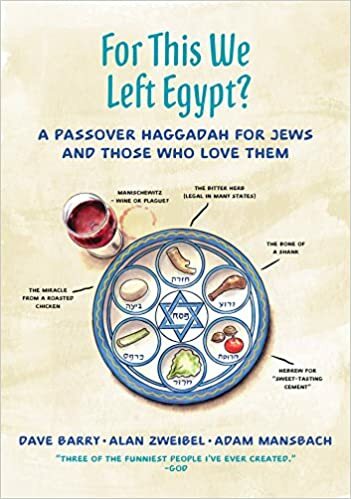 Passover is one of mankind's oldest continuously performed traditions. And it's still legal in most states! A time-honored tradition when family and friends can gather and argue and eat and think and eat and complain and eat. So, while we are supping tonight, remember this is much more than a meal. It's a chance to remind each and every one of us just how much more miserable we could actually still be! It is also a story that must be told every year.